Wrexham manager Sam Ricketts has confirmed defender Manny Smith will be out for "eight to 10 weeks" with a knee injury. 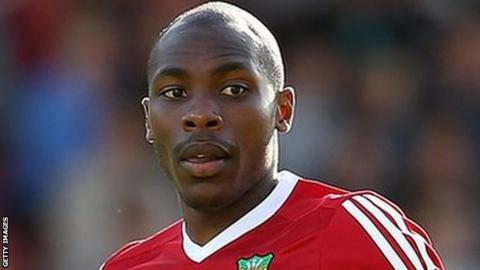 Smith, 29, was injured during Wrexham's 1-0 loss at Solihull Moors on 27 August. "It's not as serious, but we're looking at eight to 10 weeks and then he'll be back," Ricketts said. They host Ebbsfleet United at the Racecourse on Saturday, 15 September. "It's a tight league and it's going to be who can maintain consistency over the course of a season," Ricketts added. "But 10 games in we just have to keep striving to improve in every aspect of our game."